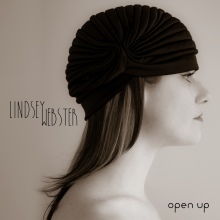 If Carole King and Sade had a kid, she would be Lindsey Webster. Sultry with a silken feel, Webster’s instrument on her second outing is given a worthy, gorgeously produced showcase that is set to dazzle newcomers who missed her critically acclaimed, self-titled debut. Hailed by such stars as Sting and Michael Bolton as a brilliant artist, Webster is the latest in a line of blue-eyed soul artists who are leading with strong songwriting and live instrumentation, keeping it simple yet effective (See: Allen Stone, Mayer Hawthorne, Diane Birch, etc.). The native New Yorker is an accomplished singer, songwriter, and cellist, and while clarity and simplicity seem to be her artistic calling cards, she’s never boring on an album that grips you right from “Fool Me Once” and never lets go over its ten-song run of smooth bliss. Not you’d want it to. What is perhaps most thrilling about listening to Lindsey Webster’s voice is that unlike many in the more recent blue-eyed soul tradition, there is nothing affected about her voice, no wanna-be Amy Winehouse inflections, and little that is trying to perform “blackness.” Webster possesses a sound that is as sincere as it is full and supple, caressing everything from once in a lifetime ballads as “I Found You” to jazzy mid-tempo grooves like “Open Up.” While Webster definitely has a preferred sweet spot in her vocal placement, she knows how to kick it up a notch and go for the big notes, swooping and soaring when the moment calls for it. The musical training is apparent, but Webster is so casual and easy that one doesn’t ever feel like she’s showing off, her music, even on vaguely gospel soaked cuts like “Lost One,” just relaxes and calms the nerves. Her music just feel good. With her long-time songwriting and production partner Keith Slattery (Mark Gray also co-produced), Webster keeps the unobtrusive production on You Change open and spacious with plenty of jazz influences, but also like Carole King’s best material, the project marries singer/songwriter pop and classic soul elements, particularly on the title track. Webster was the 2014 Winner of the Independent Music Award for “Best Acoustic Song” for her debut album cut, “Choices,” and her Atlanta Records debut could easily sweep this year’s awards given the consistency of the project’s quality. Little here feels off, excessive, or underdone, even less compelling tracks like “In Love” and “Break Through” have a sense of belonging. While Webster is definitely an original, influences can still be heard. Tapestry-era King seems to be a regular reference point. Emotive, yet clean-cut piano ballads like “Bleed” may draw comparisons to Sara Bareilles’s woefully unsung Once Upon Another Time EP, while smooth jazz fare like “Open Up,” “Fool Me Once,” and the moody, Norman Connors flavored “Universe” are right up Sade’s alley. While some critics have compared Webster to Mariah Carey, only “Lost One” has any of the feel of Carey and only the Carey of “Visions of Love” days, without any of the melisma and aerial notes that characterizes Carey’s powerful vocal approach. Not that any of those comparisons really matter as more than a critic’s reference; Webster doesn’t need the vocal extras to convincingly sell a song, and You Change proves there’s enough of her own signature by this sophomore project to safely call Lindsey Webster a consummate and complete artist all on her own. You should treat yourself to an introduction with You Change, and then go back to her debut for even more. Highly Recommended.